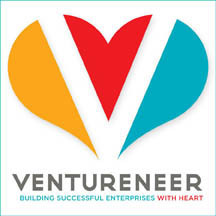 Small business owners and entrepreneurs can improve profitability with the seven tips in Ventureneer's new webinar. Improving the bottom line is the goal of all entrepreneurs and small business owners. In a new, free webinar from Ventureneer, entrepreneurs and business owners will learn seven ways to improve that bottom line by increasing sales and reducing costs. The free webinar, Small Business Profitability Makeover, will take place on Tuesday, June 22, at 2 pm ET. "As the economy recovers, small businesses must get ready to grow," says Geri Stengel, founder of Ventureneer. "Improving your profits by using information -- much of it already on hand -- is part of that readiness." "The profitability techniques taught in the webinar can help any small business owners see new sources of profitability," says David Rudofsky, instructor for the webinar. "It's information that every small business owner needs to know whether times are good or bad." Rudofsky is a business consultant who advises clients on how to optimize their business' profitability through cost management, financial and strategic planning, and competitive analysis. The Small Business Profitability Makeover webinar will be useful to all small business owners and entrepreneurs who want to make the most of their bottom lines. Geri is founder of Ventureneer, an online education and peer support service. She honed her online experience at companies like Dow Jones and Physicians’ Online. Geri co-founded the Women’s Leadership Exchange and is president of Stengel Solutions, a consulting service for social-impact organizations.